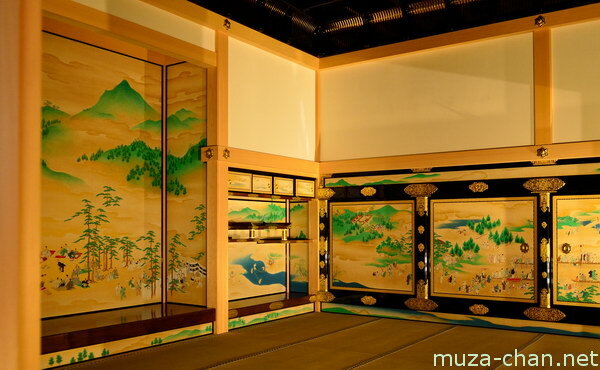 The decorations in the waiting rooms of the Honmaru Palace of the Nagoya castle were representing tigers and leopards, and were selected to impress and intimidate the visitors who were coming for audiences. However, the reception halls, used for private audiences, where only the top retainers were received, were created to offer a more relaxed atmosphere. Photographed here is the Taimenjo reception hall, decorated with landscapes and scenes from the lives of commoners.